A distinctive and unusual silver plated bangle from TEGO. 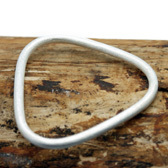 This brushed open triangle shaped bangle is made from Mexican plated silver. 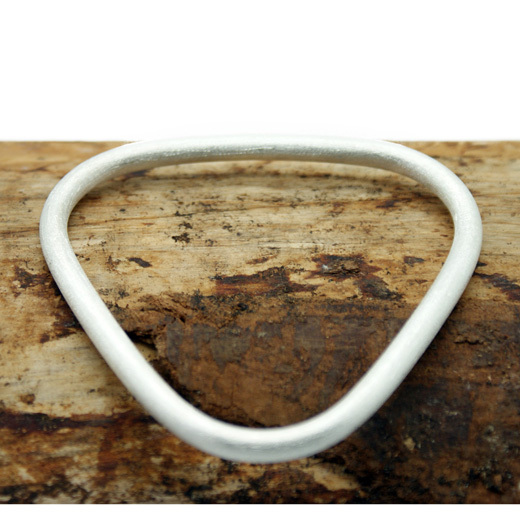 Wear this bangle with any outfit, stack with your favourite bracelet styles for a fashionable finish or it can be worn alone for a chic look. 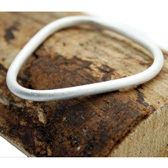 This eye catching bangle could also be worn stacked with another of the same style or with the smooth version also available on this website here.